Well on 19th May 2018, a district in Kerala named Kozhikode has reported three deaths due to Nipah virus infection. National Institute of Virology, Pune has confirmed about the news. As a result of further speculations and contact tracing, it has been found out that 15 people have tested positive for NiV (Nipah virus infection) in Kozhikode and Malappuram districts of Kerala. This was reported as of 28 May 2018 and since the beginning of the outbreak. Among them, 13 were reported death. Now the count raised to 17. Kerela govt updated about more than 1000 blood sample were collected particularly of the persons who were in contact with the victims. Good news for the northeast. No such case has been reported in the state yet. This is the third time that India has encountered Nipah. 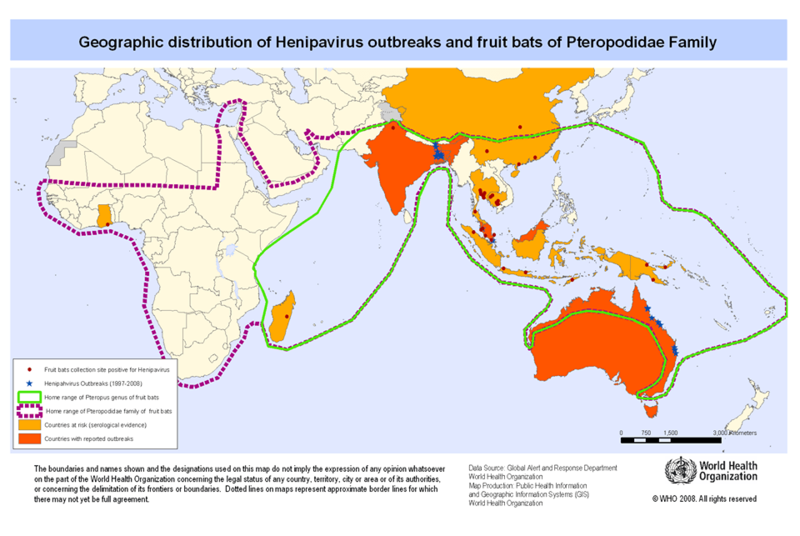 Mr Nipah virus has not only chosen India for vacation but also the entire South Eastern part of Asia. 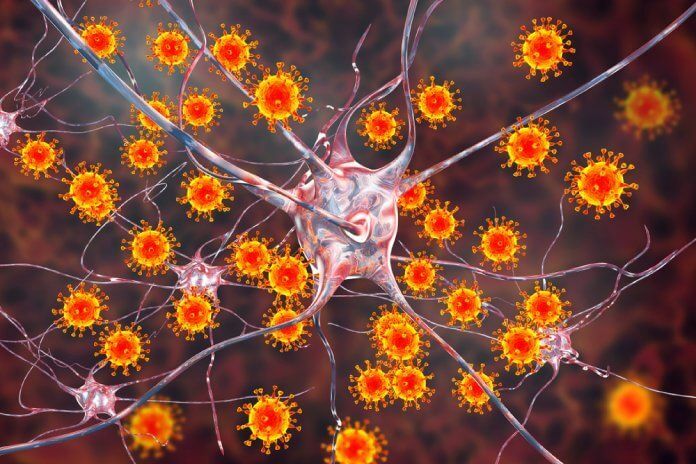 What brings importance to this virus is because of its high fatality rate, 40-70%. Isn’t it high? This is what WHO says! And why is it important to write this article is because it has no specific treatment. A step towards awareness is the only solution to such outbreaks, WHO suggested. As per WHO, Nipah is more likely a localized outbreak, i.e., more endemic and is limited to human-human transmission. 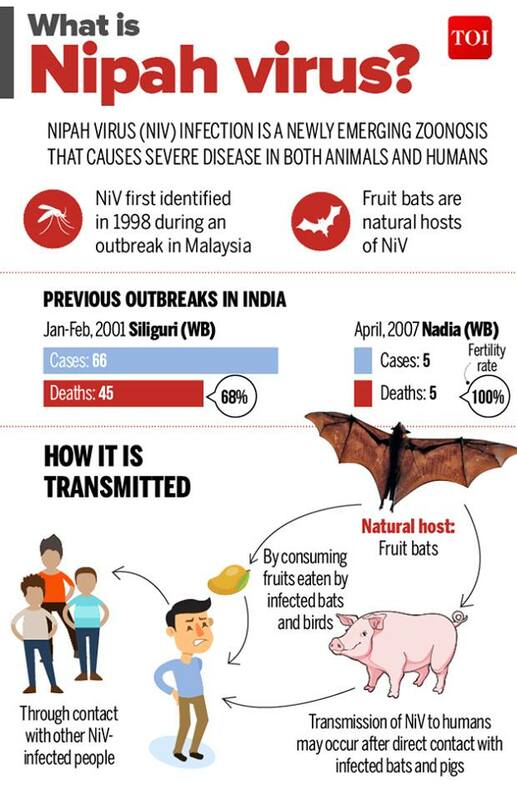 Bat is thought to be the natural carrier for Nipah virus. So bitten ripped fruits are likely to be contagious. This is exactly not an emergency but getting to know about viral infection at earliest is the only profit. Who is infected by Nipah? Basically the risk is high for hospital workers and caretakers of those infected with the virus. Some say people in contact with pigs are also at risk. In Bangladesh and India, the disease has been linked to consumption of raw date palm sap (today) and contact with bats. • Initial symptoms are fever, headache, drowsiness followed by disorientation and mental confusion. • Later symptoms are critical, i.e., inflammation of the brain (encephalitis), is a potentially fatal complication of Nipah virus infection. • Respiratory problem also shows up. • One should avoid exposure to bats in endemic areas and sick pigs. • Avoid drinking of raw palm sap (palm toddy) contaminated by bat excrete. • Avoid using water from wells infested by bats. If you are safe, then please make sure people around you are also safe! Mob Lynching: A new trend in India!